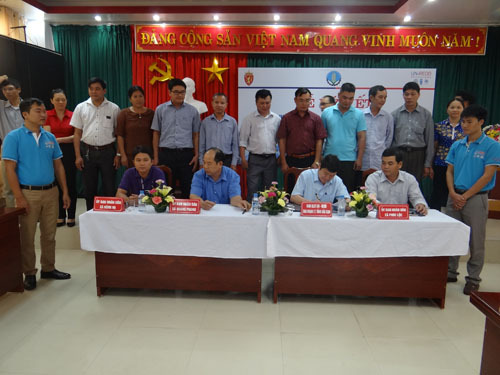 In 24 October 2016, Bac Kan PPMU has held an agreement signing ceremony of REDD+ implementation associated with benefit distribution for 03 pilots REDD+ communes which are Quang Phong commune – Na Ri district, Phuc Loc commune – Ba Be district and Nong Ha commune – Cho Moi district, with the total forest areas put into benefit distribution pilot plan of 5 thousand hectares. 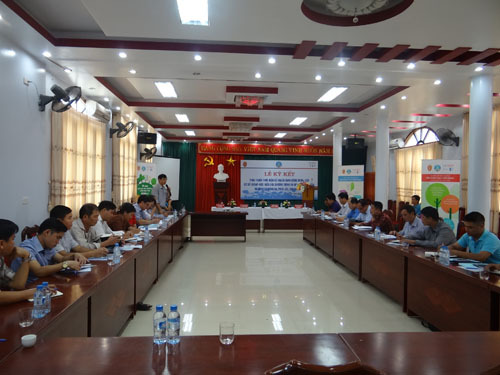 Participations of the ceremony were Director of Bac Kan PPMU and Chairmans of CPC of 03 pilot communes, besides, there were representatives of Division of Agriculture and Rural Development, Forest Ranger Department of Na Ri, Ba Be, Cho Moi districts and the provincial monitoring committee, REDD+ committees of 03 communes. Speech at the signining ceremony, CPC’s leaders have highly appriciated the Program’s support which helps communes have more resources to better implement the forest management and protection and committ to command the commune REDD+ committee to coordinate with departments, unions together with local people and forest owners to proper implement the contents stated in the plan, contributing to minimize the negative impacts of climate change.